In my previous post I ‘spoke’ briefly about hybrid IT (and cloud) and introduced the forthcoming game-changing technology from Microsoft – Azure Stack. In this post it’s my intention to go into a bit more detail on why you might want a private cloud in the first place and why specifically you would choose to use Azure Stack inside your own datacentre or for customer cloud solutions. Obviously the cloud still allows the use of virtual machines (VMs) but increasingly companies are drawn to the benefits of running infrastructure as a service (IaaS), as well as platform as a service (PaaS), which commoditises these elements and focuses time and effort instead on providing solutions to end customers. Azure Stack now takes this core idea with the benefits of public cloud and allows a company to replicate this on-premises (in their datacentre). What will Azure Stack be good for? Azure Stack for ISVs and dev/test is just one of the applications. If a company has already invested in a robust IaaS (VM) solution and if all it plans to do is build more VMs and run them in Azure Stack then the benefits may be harder to prove. But here at Pulsant, one of the real world scenarios we’re planning on using Azure Stack for is to offer ISVs, who want to take advantage of the cloud, a consistent environment where they can build applications and services in private Azure Stack and then simply move these to public Azure without having to re-engineer them. Right now many ISVs are developing and moving their applications to Azure (public). Azure provides geographically redundant global datacentre environments that are externally hosted and scaled to the need of an ISV’s customer quickly and easily in all of the regions that ISV/application is serving. Azure (public) makes perfect sense for an ISV in that respect. However, as much as ISVs like the idea of the infinitely scalable dev/test environment that Azure (public) provides, they often need and want better control during the development process and where the code (the intellectual property) resides. They want development capacity in private environments with the ability to add resources as required for compilation and processing whilst doing so in an environment that is similar, if not identical, to the one in which the application or service will be deployed. Azure Stack provides the ability to completely control the physical location and allocated capacity of the dev/test environments. Because development is happening in Azure Stack (on-premises), the application can then be easily shifted from dev/test into Azure (public) because the two environments are effectively the same. Another scenario that Azure Stack is ideal for is organisations that want and need the scalability that Azure (public) provides, but in a private, certified, highly secure environment. In my last post it was pointed out that one of the blockers to using public cloud (in spite of security improvements) are the very real issues of data governance and security. For those organisations that have applications they want to scale and manage in a cloud environment but require a level of governance and security, mandated by local or global standards (PCI, FSA, SOX etc.,) Azure Stack provides that capability. Not only can this be done within a datacentre but with the use of Azure Stack appliances the ‘private environment’ on which an application, service or data resides can be physically and easily moved to any secure location as required. Of course, once in this environment, there’s nothing to prevent a company, local public sector organisation, or bank from shifting from a private to a public model. Azure Stack gives an organisation a pathway to a public model, if and when they choose to, at any point in the future. An obvious use case would be for emergency services or for bodies such as the UNHCR or Red Cross. They can move an Azure Stack appliance with the necessary SaaS services and applications on it to the disaster hit region. This gives them a secure cloud environment in which to work, but with the ability to burst into the cloud to offer a ‘public’ facing web application, for example, to allow refugees to sign up for services or to collect data. Hosting companies and managed service providers have a unique opportunity in differentiating their services leveraging Azure Stack. The world of third-party hosted virtual machines has quickly become a commoditised market as organisations have spun up datacentres, calling themselves “cloud providers,” and effectively just hosting virtual machines. Indeed, Pulsant has operated this model for many years. Azure Stack will allow Pulsant and other hosting and managed service providers to provide such an environment and to differentiate themselves from their competitors. This is especially relevant as increasingly enterprises are beginning to realise that scalability and agility are of paramount importance, and these in turn are dependent on having a secure, private and above all a consistent platform that spans both public and private clouds. One solution Pulsant is considering therefore is, as a larger hosting company, offering small focused service providers access to tenanted Azure Stack solutions allowing them take advantage of the same benefits already described. Pulsant has been working with Azure Stack and the vNext technology ‘stack’ for some time now and the next technology preview release (TP3) from Microsoft will happen in late September around the time of the official Windows Server 2016 launch on which Azure Stack depends. It’s important at this juncture to point out that Azure Stack, when it launches, will only be available as an appliance. This is important to know as it won’t be possible to take Stack and build your own solution. The reason for this is that trying to recreate ‘Azure’ in your own datacentre would be a daunting task, and was difficult even for Microsoft with all of its resources. If you imagine for a moment just the hardware challenges involved in certifying hardware, drivers and other components for one version of any given Azure service, and then multiply that problem by the number of services and then again by the number of new services and service updates that occur in Azure every week you begin to see the size of the challenge of trying to bring that down to your own datacentre. So in order to ensure that users can achieve faster time to value and benefit from the speed and standardization that Azure provides, Microsoft has chosen to only supply Azure Stack and an fully integrated solution. Initially this will mean working with one of three hardware partners, Dell, HPE and Lenovo. As such, Pulsant has formed a global partnership with Dell who has been working with Microsoft for a number of years now to deliver best of breed, simple and quick solutions for deploying private clouds. DHCS is in some ways the forerunner of Azure Stack. Windows Azure Pack (WAP) was designed to offer an Azure-like private cloud experience for those using Hyper-V and System Centre VMM. It was built around the first version of Azure (ASM) and obviously the current released versions of Hyper-V, Windows Server, and System Centre. It has its limitations and of course is based on ASM templates. Azure Stack takes the concept and benefits of WAP and builds a new solution from the ground up using Microsoft’s vNext technologies. Needless to say Dell has been working directly with the Microsoft Stack engineering teams to ensure that, once again, it can bring a certified Azure Stack (private cloud) environment to market when Azure Stack becomes generally available in the middle of 2017. Pulsant is working closely with Dell and Microsoft, and Dell will deploy an Azure Stack TP3 appliance in one of Pulsant’s datacentres as part of a joint initiative to create a Hybrid Cloud Centre of Excellence in the UK. The CoE will focus exclusively on use of Dell’s certified WAP and Stack architectures and is designed to allow customers, engineers and solution architects access to these private cloud technologies in a real datacentre environment to better understand and learn about deploying private, hybrid and public cloud services and solutions. Pulsant will be seeking both partners and potential customers during the summer who would be interested in becoming early adopters of Azure Stack and working with Pulsant and Dell to deliver both proof of concept and pilot case studies in time for the formal launch of Azure Stack. When you look at the current cloud landscape and the main players (Google, AWS, Microsoft Azure) it is clear that Azure Stack will give Microsoft a unique position in the marketplace. 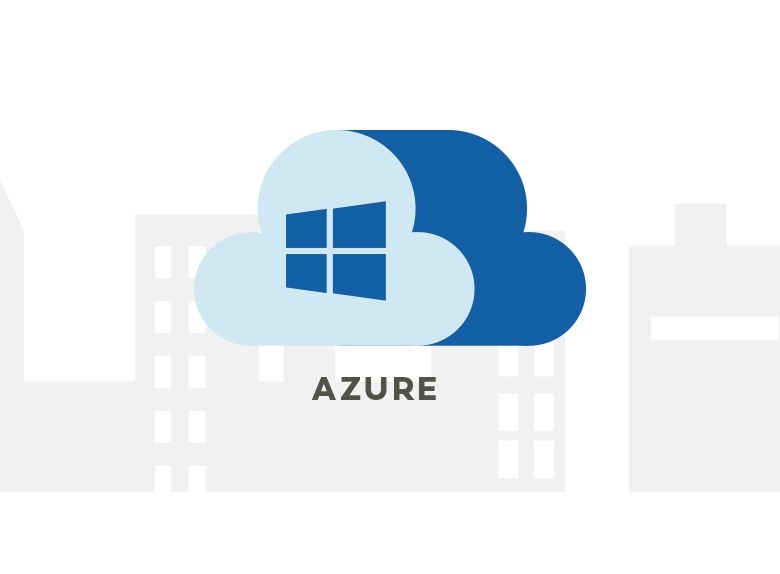 Azure will provide highly scalable and globally distributed public cloud services while Stack provides organisations with the ability to run the exact same applications, capabilities, and cloud scalable and redundant services on-premises. In Pulsant’s case it is a very easy way to extend its reach globally by deploying Azure Stack appliances anywhere in the world, be that datacentres or on customers sites, and to manage those private clouds as one seamless Azure environment – one CONSISTENT and seamless Azure environment. Work with Pulsant and the CoE to understand and trial Azure Stack when TP3 becomes available. Stuart has real-world experience of developing and running cloud services businesses, as well as adoption, integration and strategy implementation, having been involved in various Cloud start-ups and projects in both enterprise and SMB companies. He is always happy to discuss planned cloud services strategies and to present or provide consulting in this area.